The following lists are by no means exhaustive; there is a wealth of Esperanto resources available on the internet for those who wish to search for it. We simply hope to provide a few links to some of the most popular and helpful study aids; there are many more than this! Lernu – A very detailed site which has courses to suit your level and learning style, ranging from complete beginners learning by pictures, to advanced courses marked by actual people. It also has a dictionary, games, notes on grammar, a library of stories and jokes, exercises for common mistakes, and a forum to chat to other Esperantists around the world. 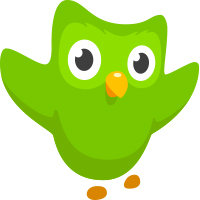 Duolingo – Free, game-like language learning from the people that do it best! Esperanto for English speakers already has over 200,000 learners. Kurso de Esperanto – A software program featuring a 12 level Esperanto course, available for PC and Mac. Anki Flashcards – Anki is available for free for PC or Mac, or for a cost for mobile devices. Utilising “spaced repetition”, Anki shows you the cards you struggle with more often than those you don’t, and is far and away the best method for increasing your vocabulary quickly. Esperanto decks for Anki are available here. Beginners should start with the Esperanto 101 deck. Memrise – Another excellent, free program for increasing your vocabulary, available online or as an app. Memrise tests both your recall and recognition of words, and has many Esperanto courses available. Esperanto 101 on UReddit – Reddit user Cxaro put together a 6 week Esperanto course on UReddit which covers the basic grammar, affixes, and common root words. The course has finished but the videos and class notes are still available. One of the most popular teach-yourself Esperanto books, Saluton! has been converted to an online course. Only pictures and Esperanto are used to teach the concepts of the language. Computer generated pronunciation of the text is also available. Expand your Esperanto vocabulary with the fun and colourful games at Babadum! Recommended for intermediate to advanced learners, as some of the words are not common. Esperanto in your pocket – A simple, compact guide to esperanto with all the grammar you need to get you started, plus a few exercises to practise with. Wikipedia, the free encyclopedia that just keeps giving, has some great articles on Esperanto Vocabulary, Esperanto Grammar, and a handy Esperanto Phrasebook. You can also read the main Esperanto page for general information on the language, its usage and history. Kellerman Kolor by Ivy Kellerman – Written in the early 1900s but still a valuable resource, this is a lengthy book taking the learner from the basics of Esperanto right through to fluency. Each lesson has reading and translation exercises and the grammatical rules are explained clearly and with plenty of examples. An Elementary Esperanto Primer by Daniel M. Albro – A more modern book, also presenting the basics of Esperanto in a lesson format complete with exercises. Being Colloquial in Esperanto by David K Jordan – Another thorough coverage of Esperanto, including a section on words that English speakers may find challenging. Free Esperanto Course – A 10 lesson course designed to be checked by a tutor but simple enough for home study. Vikipedio – Your favourite free online encyclopedia, Wikipedia, in Esperanto! The 32rd largest Wikipedia site by language, which is quite impressive considering Wikipedia comes in more than 280 languages. Some Esperanto books and novels (including many of your favourite classics) are available for free on the internet from a variety of sources, including Project Gutenburg. LiberaFolio – An independent Esperanto site with articles in and about Esperanto. Multe da Ridoj – Comic strips in Esperanto. Esperanto Flipboard Magazine – A curated flipboard magazine featuring articles from around the internet in English and Esperanto. Tajpi – Type Esperanto “hat letters” (ĈĉĴĵĜĝĤĥŜŝŬŭ) on Windows computers with this application, which runs in the background and allows you to choose how you want to trigger the esperanto letters, for example with the x or h system. Esperanto keyboard for Mac – Type Esperanto letters on Macintosh computers with this keyboard layout. Installed as an additional keyboard layout, it allows you to switch between your standard layout and Esperanto, which has the hat letters under unused keys such as Q, W, X etc. The free app for iOS8+ Esperanta Klavaro and the paid one, Esperanto-Klavaro – allow you to switch between English and Esperanto keyboards on your iPhone or iPad, and also turn off autocorrect while you type Esperanto. Lingvohelpilo – An Esperanto spelling and grammar checker. Errors are highlighted and described in Esperanto, with an option to replace the text with a suggested correction. Lingvoilo – Another Esperanto spelling and grammar checker. Plena Ilustrita Vortaro – The definitive Esperanto dictionary, with all of its definitions in Esperanto. 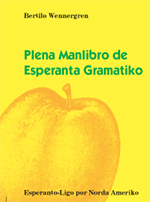 Plena Manlibro de Esperanta Gramatiko – The finer points of Esperanto Grammar, explained in Esperanto. Google Translate – Not the most accurate of tools, however it will get you out of trouble if you want to understand the gist of something. Melbourne Esperanto Meetups – Get off the internet! Come and chat with us on Monday nights at Ross House in Melbourne, or on Sundays at Cafe Beer Deluxe in Federation Square. More details available at meetup.com.au. Telegram chat group – We’ve started a chat group in Telegram (available for android, apple and windows phones) for Melbourne Esperantists who can’t make our meetups. Facebook – Learn by immersion in the Esperanto community – the Esperanto Facebook group is very active and has many members that are willing to help you improve. Lernu Forums – A place to chat about any topic either in Esperanto or your native language. Skype is an excellent way to speak face-to-face with Esperantists around the world. Download the software or app and then find Esperantists to speak to using this Facebook group or this Yahoo group. There are two good reddit subreddits, r/esperanto and r/esperante, where you can chat about or in Esperanto, or ask questions about the language. Mazi en Gondolando – A feature-length cartoon entirely in Esperanto about a friendly alien who likes to eat clocks. Mazi revenas al Gondolando – More Mazi! Pasporto al la Tuta Mondo – Passport to the Whole World – An esperanto course consisting of 15 lessons and an entertaining story line. Gerda Malaperis – Gerda Disappeared – A whodunnit esperanto mystery. World of Warcraft Esperanto Lessons – Learn Esperanto through World of Warcraft with youtuber Evildea. Esperanto 101 – A six video series on the basics of Esperanto. Esperanto Lessons by American Esperantist – another series of youtube videos teaching Esperanto. BookBox – Children’s stories from around the world told in Esperanto, with Esperanto subtitles. 3ZZZ Esperanto Radio – A long running Melbourne based Esperanto radio program containing current affairs, articles and music in Esperanto. Past programs are available on our archive page. Esperanta Retradio – Listen and read along with the Esperanto text on a number of diverse topics. Kern.punkto – A great podcast covering tech, culture and society. Muzaiko – An Esperanto internet radio channel with a diverse range of Esperanto music. China Radio International – Esperanto radio with news and current affairs from China. Varsovia Vento – Esperanto podcast from Warsaw. Radio news in Esperanto – from the Chinese national radio. Spotify – A playlist of modern Esperanto music for your listening pleasure!